It’s been over a week here at the Continental Cycling Center Shuzenji and i have to say time is passing slower than I expected. In my opinion, a rather good thing, as i’m psychologically making the most of my perceived ‘ extended’ time here. 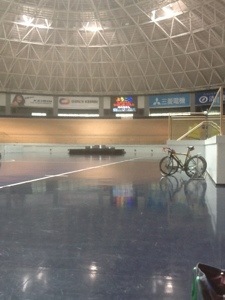 The two-week training camp is run by the amazing coaches based at the Izu Velodrome. 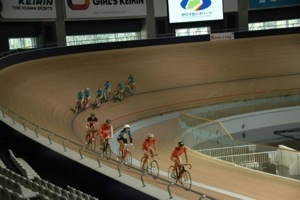 The velodrome is part of the Japan Cycle Sports Center, a huge compound dedicated to cycling for all. The focus is on training fundamentals and most importantly for me, technique. There is a huge emphasis on proper and most efficient pedaling technique. Of course, everyone has their own school of thought which they will practice religiously to. 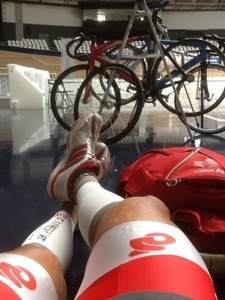 However not having a system to work with is hampering my progress on the track. I was particularly looking forward to the Wingate test at the Japan Keirin school, as it was something I was prepared for. Hours and hours and countless intervals on the wind trainer will certainly pay off in some way. 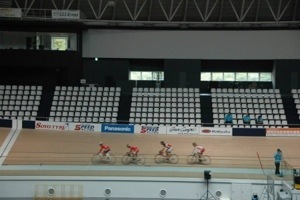 Some of my numbers were on par with the mean of the Keirin Pro riders, while some were just slightly outside. On a whole it was definitely some encouraging results. We spend almost the entire day at the track. Standard two sessions a day, with the first usually ending just before lunch and the next starting at 2pm. For me, track sessions have that additional mental stress which I have to cope with. 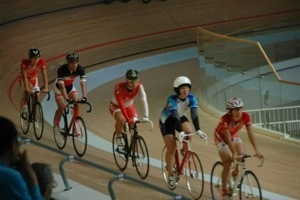 I’m not the most comfortable of bike riders on the track and this is the perfect opportunity to take it a step up. Numerous flying 100s, 200s, 500s, 1ks to let me find my lines, plenty of standing starts to learn to put all the hours in the weights room to good use. On top of all that, trying to correct my pedal stroke. Talk about steep learning curve. Just like the days at Blackwater Bay with Sydney Uni Womens Rowing Club and down the Yarra with Mercantile.